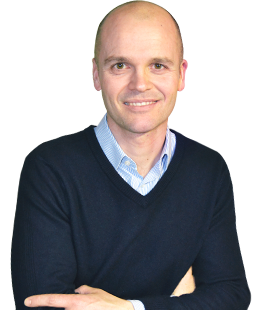 Bio-Rad RSL is a Belgian production and research unit within the Bio-Rad Clinical Diagnostics group. RSL is specialised in producing the HPLC accessories used in diagnostic kits for, amongst other things, diabetes monitoring. The production of resins and HPLC cartridges is central to this. These cartridges are produced by filtering suspensions under high pressure. Until recently, these cartridges were inserted, filled and dispensed manually and then automatically pressed into 15 stations served by six operators. 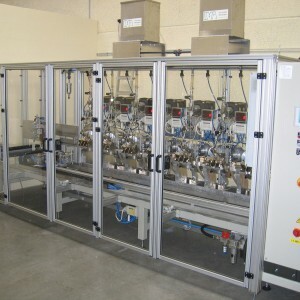 Bio-Rad RSL entrusted IMA with the task of fully automating the production process. 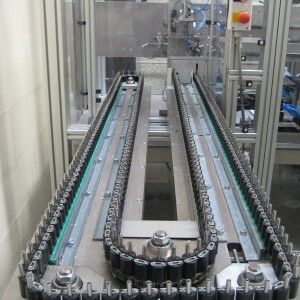 The empty cartridges are manually placed in a feeder belt, and the full cartridges are removed. 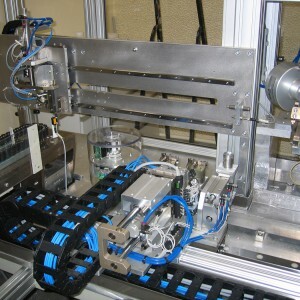 A manipulator places empty cartridges in one of the seven stations, which fill the cartridges with a dosing pump and then compress the cartridge filling. Due to the high operating pressure of 400 bar, the pumping station is designed for high pressure and is made of stainless steel. There is also an automatic rinse cycle (with an end-of-day protocol), a start-up module, and an identification scanner. 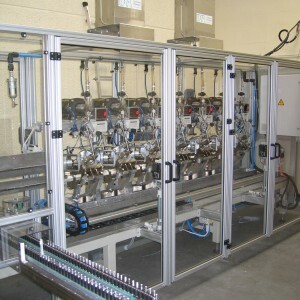 Because the automatic filling station achieves the same production volume with one operator as the manual application did with 4 or 5, BIORAD can raise both the productivity of the process and the quality of the products.